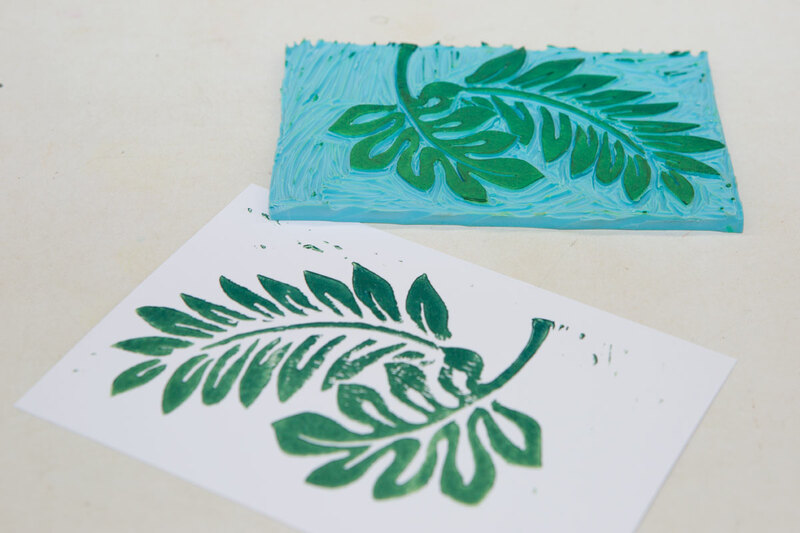 Linoprint is a very user-friendly medium and Schmincke College Linol and Schmincke printmaking mediums are great for printing on surfaces such as paper and cardboard. 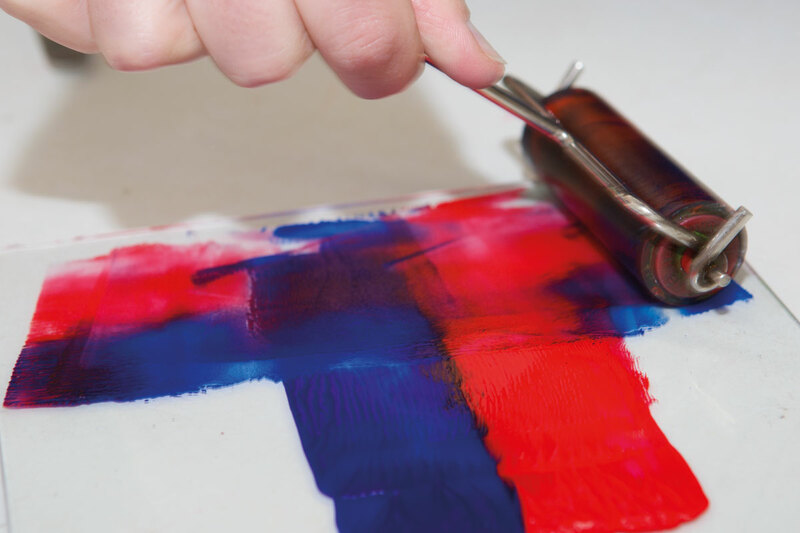 The starter set of inks contains five odourless and water-mixable linoprinting colours. These five colours can be used to mix almost every colour of the rainbow. 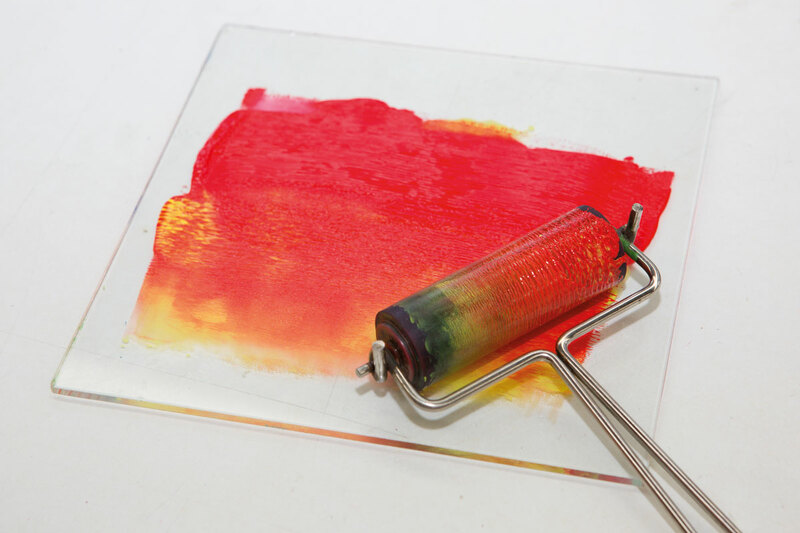 The Schmincke printmaking mediums allow you to modify the characteristics of your ink – they include an extender for creating transparent glazes, a gloss medium and a pearlescent medium. 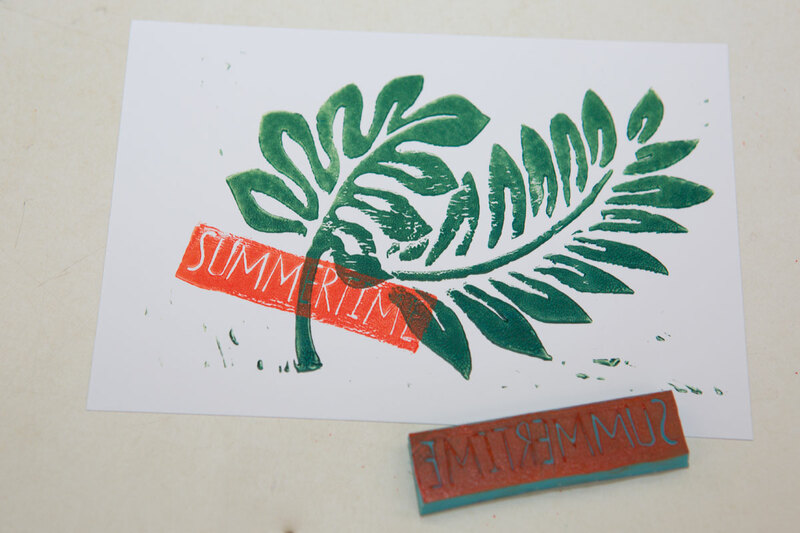 To demonstrate the use of these inks for great hand-pulled prints without a printing press, the artists at the Schmincke colour company in Germany have carved some stamp carving sheets and rubber erasers in the spirit of the Summer with cheerful seasonal motifs. 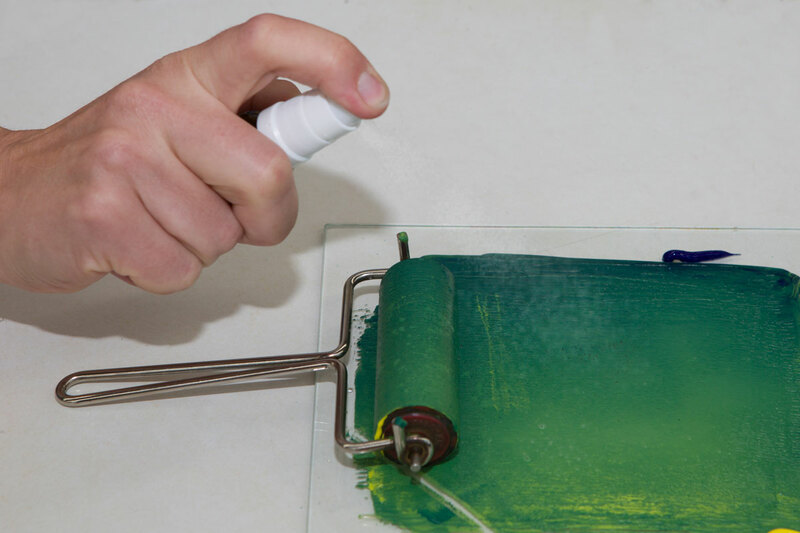 The Schmincke College Linol set is perfectly suited for mixing further colours. 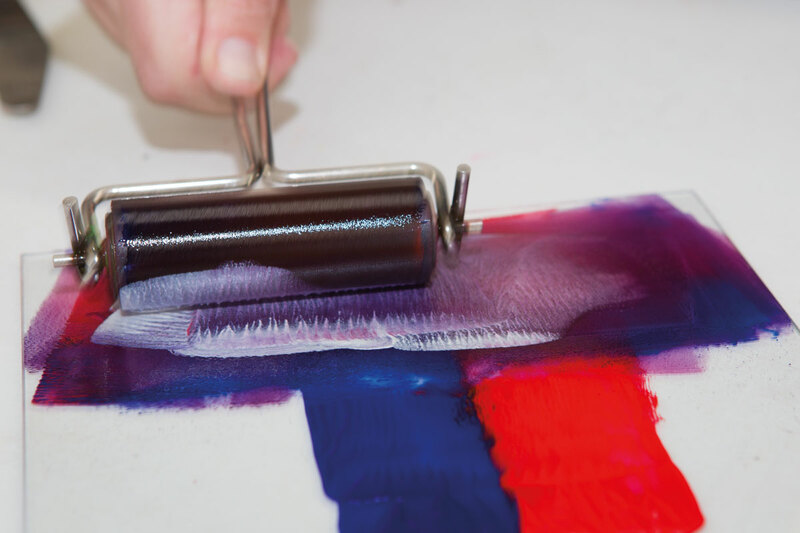 Here they mixed some red and blue on a glass plate with the roller and got a beautiful violet. 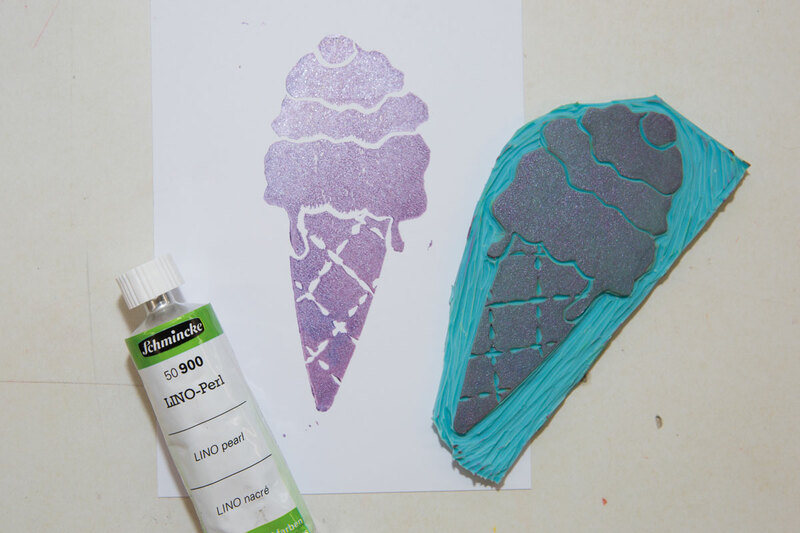 For a pearl effect they added some Lino Pearl medium and mixed it into the ink with the roller. 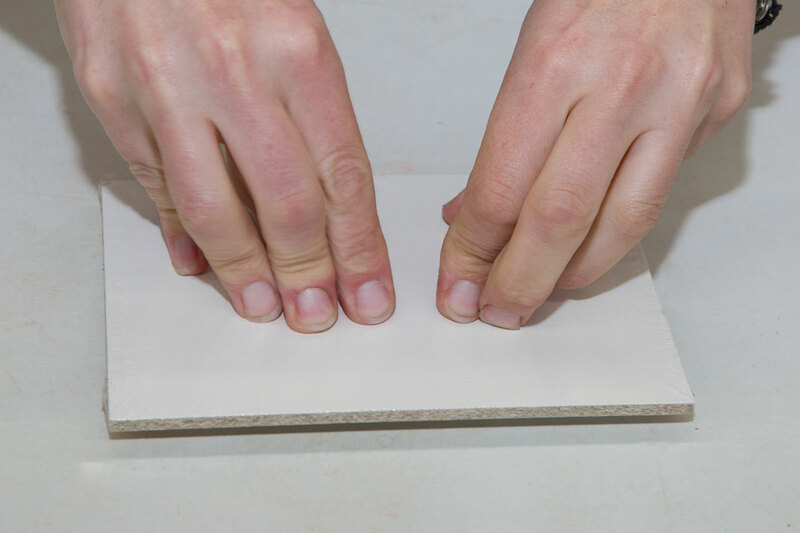 They then rolled the violet-pearl shade onto the carved rubber plate. 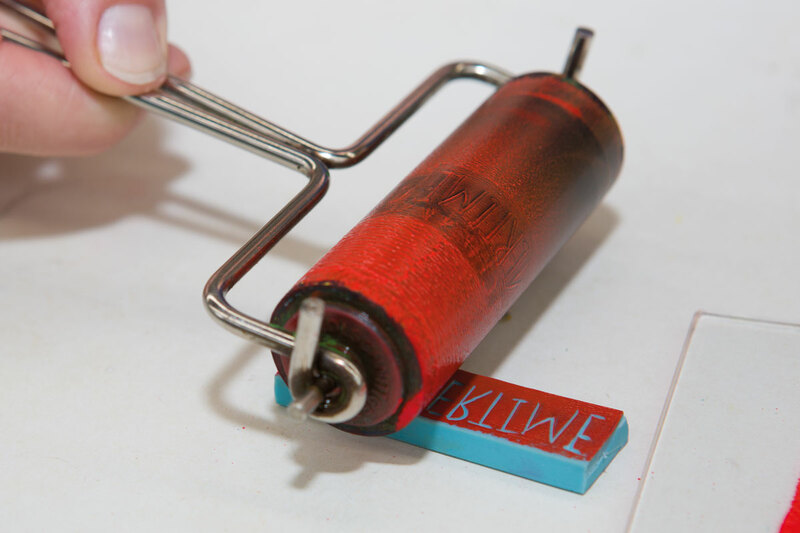 They put the printing paper onto the stamp and pressed it carefully and thoroughly onto the colour. 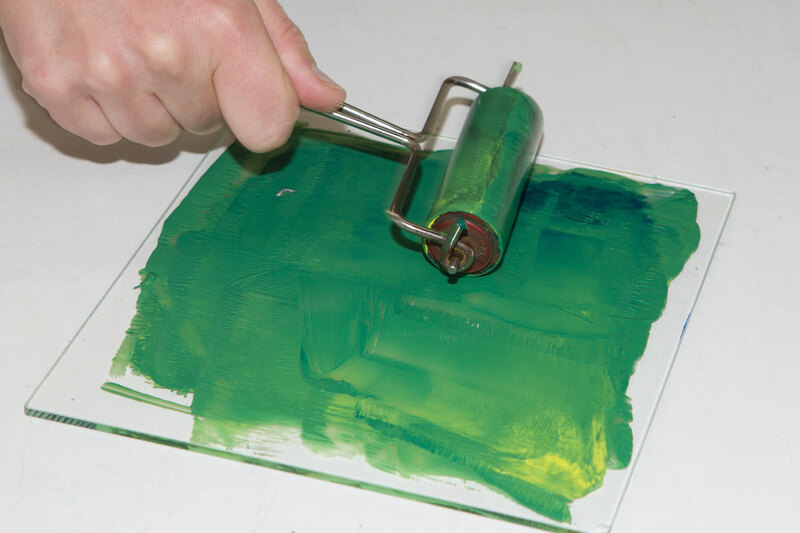 For even pressure that will give an even transfer of the ink they used a painting board on top of the paper. 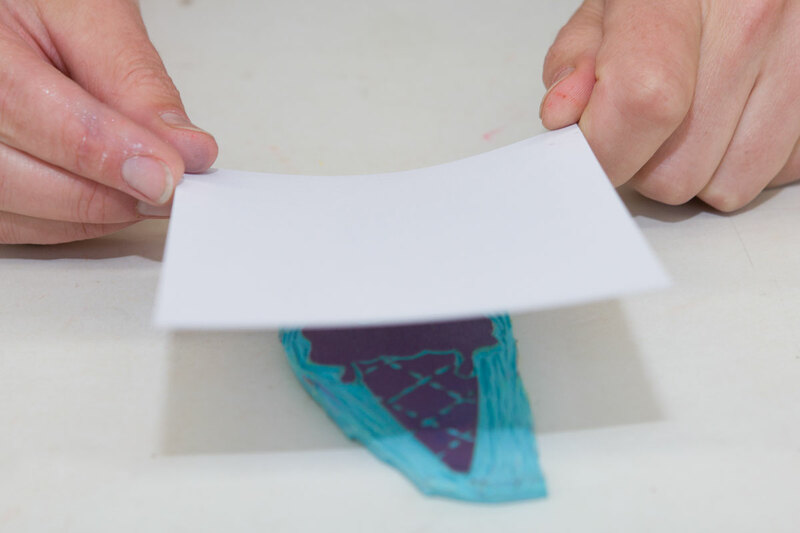 The reveal moment of a hand-pulled print is always exciting! A tip: the best pearl effect can be achieved when using darker colours. 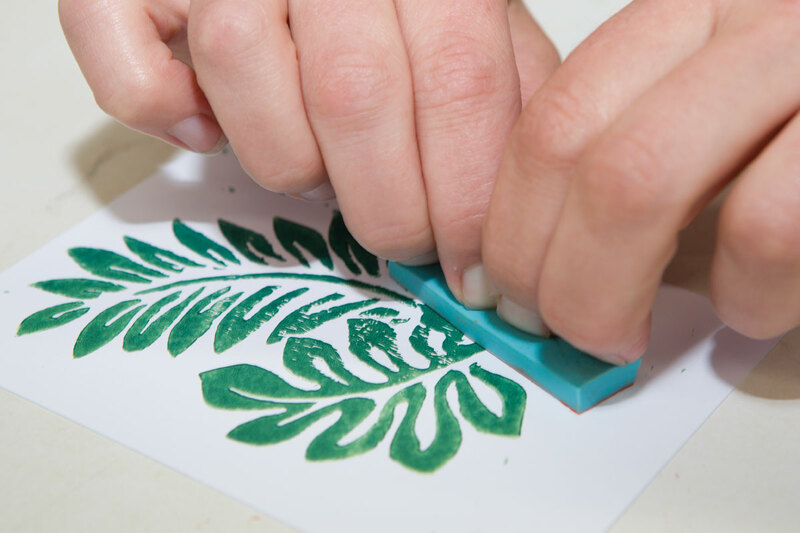 These inks dry to a wipe-resistant finish within approximately 15 minutes, depending on the thickness of the application – but they are not waterproof. Dried colour on the glass plate can be reactivated with a little water, a spray bottle works great. 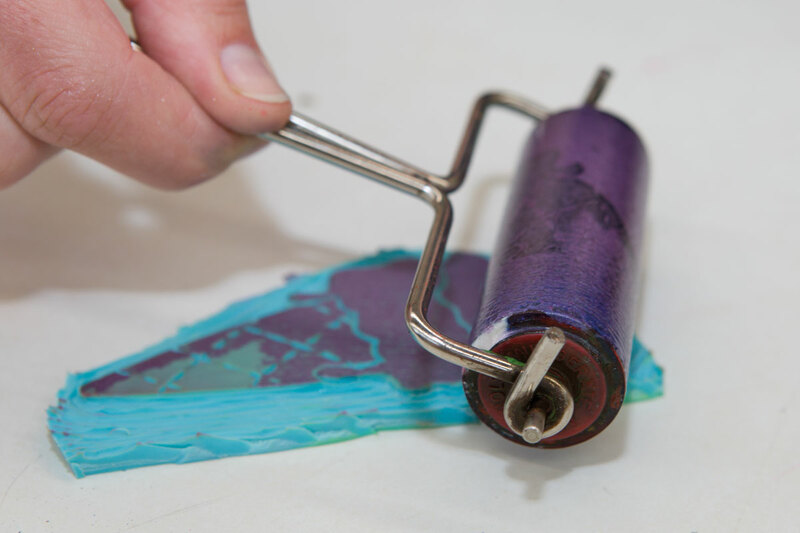 Then you roll with the roller until the lino colour regains its usual properties. The printing results will be as beautiful as ever. 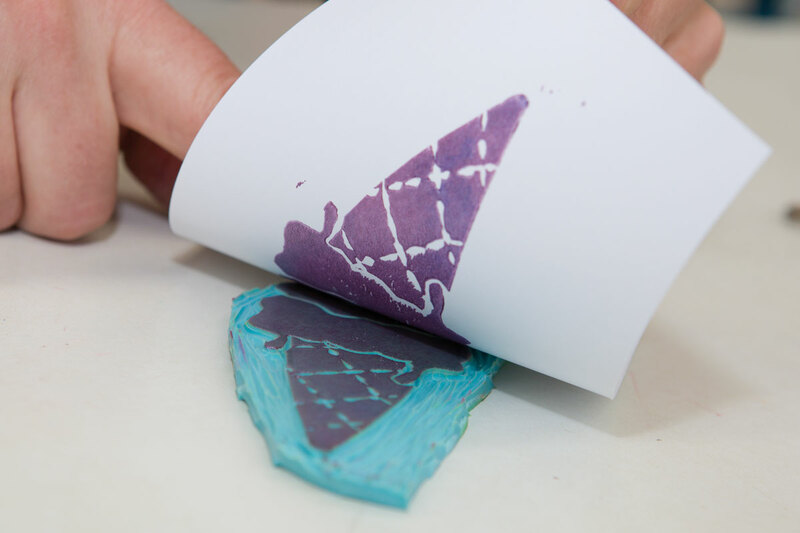 An already dried print can easily be overprinted with another contrasting colour. 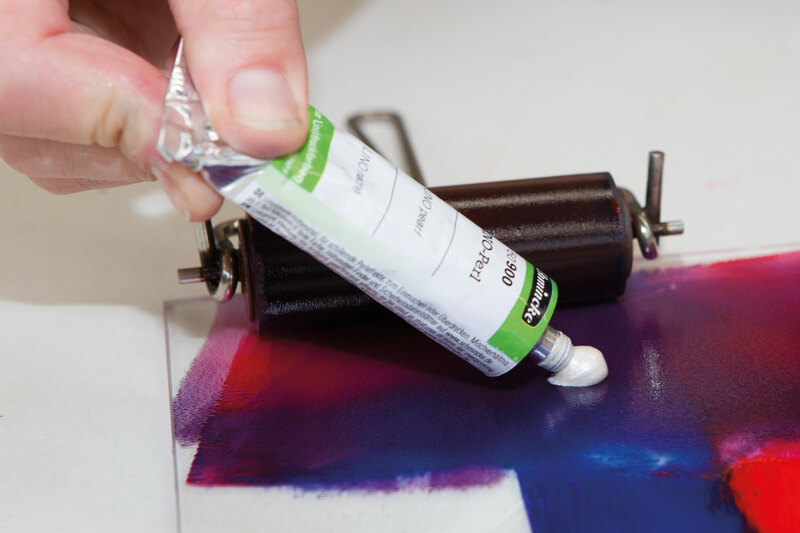 If you use the extender medium to create a glaze when overprinting then the first layer will show through, creating a third colour – the first colour, the second colour and the colour created by the overlap. 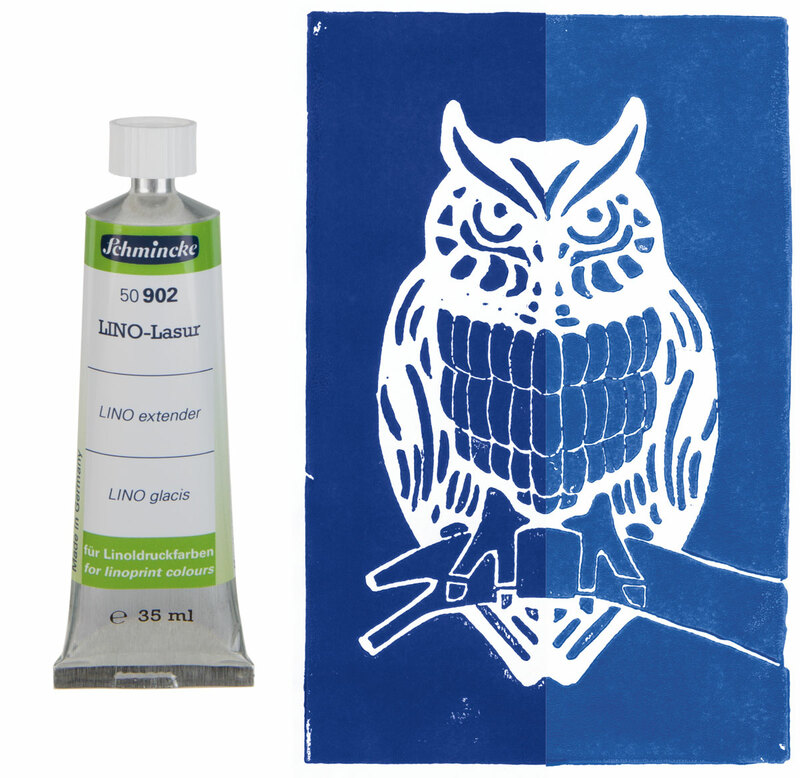 The Schmincke owl logo was printed using neat ink on the left side and ink with a medium on the right side. 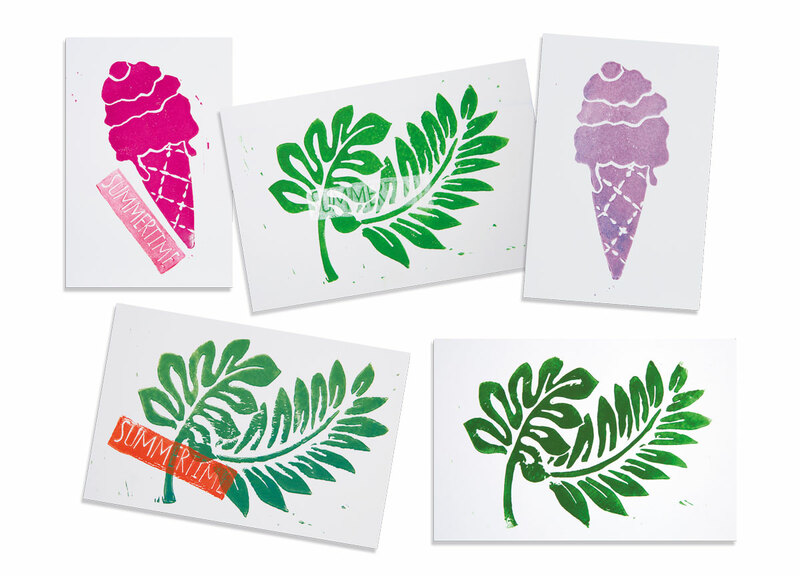 With these inks and mediums you can easily clean fresh colour from printing blocks and tools using just water. 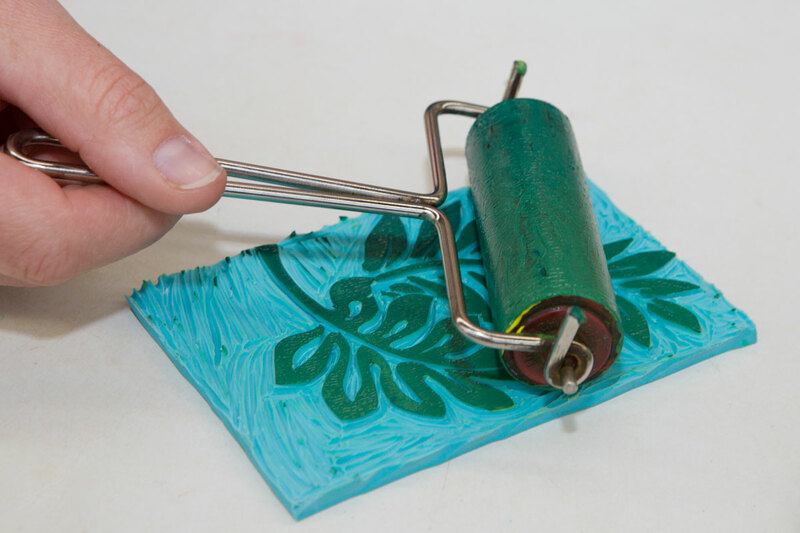 If the ink has completely dried on the tools it may help to use Lino-Clean to remove ink from your blocks and rollers. 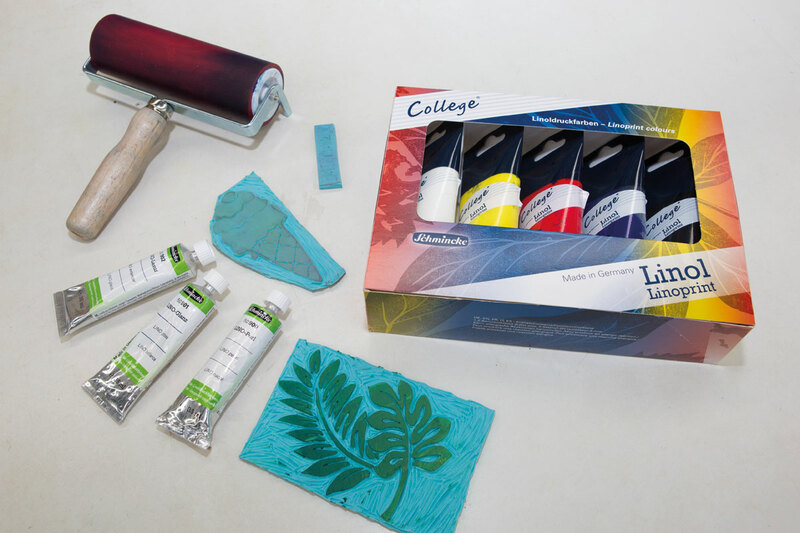 Click on the underlined link to go to the current offers on the Schmincke College Linol ink set on the Jackson’s Art Supplies website. 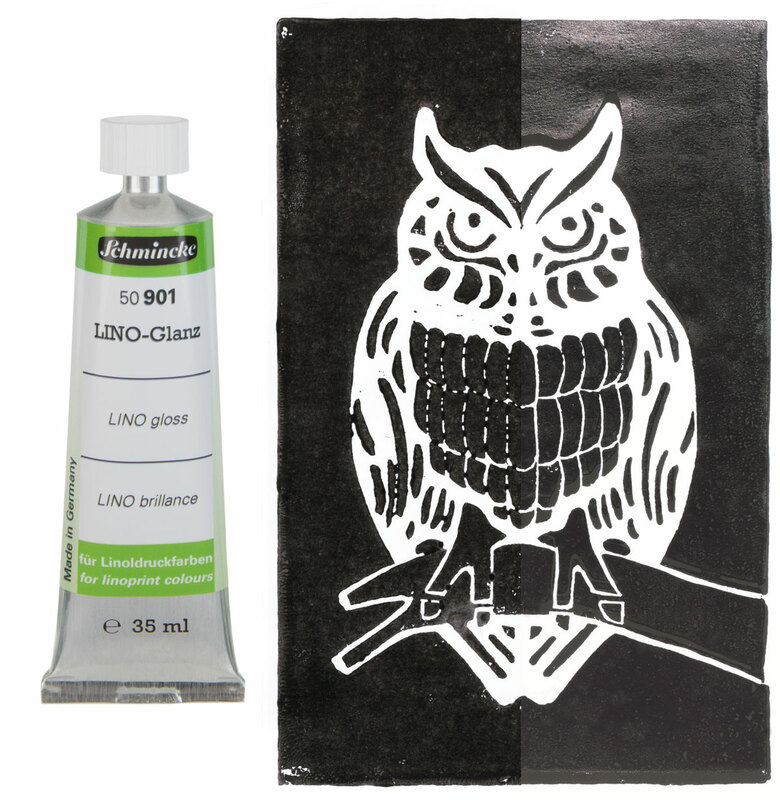 Click on the underlined link to go to the current offers on Schmincke Lino Mediums on the Jackson’s Art Supplies website. Click on the underlined link to go to the Printmaking Department on the Jackson’s Art Supplies website.